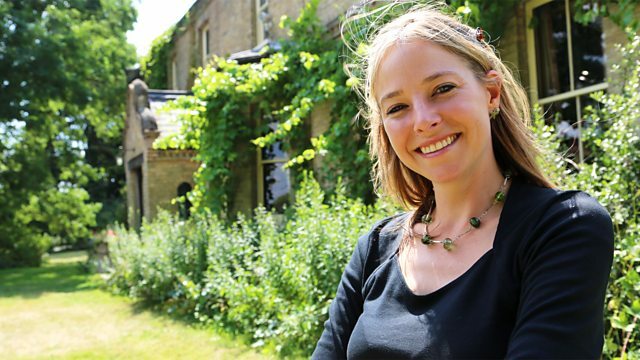 Alice Roberts overcomes her arachnophobia to enter a spider-filled house, where entomologist Tim Cockerill immerses her in the wonders of web-building and fly-catching. Ever wondered what spiders really get up to in your home? In this Halloween special Alice Roberts overcomes her arachnophobia to enter a spider-filled house where an astonishing drama unfolds within its walls. Inside she meets entomologist Tim Cockerill, who loves spiders and quickly immerses Alice in the wonders of web-building, the secrets of fly-catching and the dangerous spider-eat-spider world they inhabit. Tim wants us to welcome spiders into our homes. He takes Alice on a macro mystery tour of the rooms of the Spider House, revealing what goes on in the cracks and crannies of our homes. Why do we always find spiders in the bathroom? And what happens if we flush them down the plughole? Using powerful macrophotography, Tim and Alice find out. In the dining room, they uncover the complex engineering behind the most beautifully constructed 'dinner plate' in the home - a spider's web. In the kitchen Alice witnesses the extraordinary hunting ability of the keen-eyed jumping spider, while Tim finds out how spiders kill their prey using venom. In the bedroom, the secrets of spider courtship are revealed. For spiders, mating is a high-stakes life-or-death game, where males risk being eaten by females. In the nursery, we enter an enchanting cocoon where tiny spiderlings struggle out of their exoskeletons - the first of many moults on the road to becoming adult spiders. Meanwhile, down in the cellar, we meet an unexpectedly voracious killer - the daddy longlegs. Many of us have a love-hate relationship with spiders. The rational side of Alice Roberts understands their benefits, but can she overcome her irrational fears? She faces the ultimate challenge: to spend the night alone... with the spiders... in Spider House. Find out more about spiders' impressive skills with our handy iWonder guides. Do spiders have super powers? Why should I love spiders? Online exclusive: Why do spiders stop and stare? Online exclusive: Which spiders don't live in your house? Could you spend a night in the Spider House? Arachnophobic Alice Roberts and spider fan Tim Cockerill share their eight-legged tales. BBC News: How dangerous are false widow spiders?